What types of services does The Plumbing Doc offer? We offer a variety of services for residential, commercial, and industrial customers. We don’t want to limit our ability to serve our community; that’s also why we have several locations available. We ensure that we’re available whenever our customers need us. What kind of trenchless services does The Plumbing Doc offer? We pride ourselves on our efforts to limit our impact on the environment. Moreover, we utilize a variety of trenchless services in order to both serve our customers in the best way possible and minimize the way the environmental impact. We offer trenchless line replacement, hydro jetting, and underground video inspections so we don’t have to dig the ground up. In addition to that, we recommend using tankless water heaters to all our customers, and oftentimes install low-flow, water-efficient fixtures such as sinks, toilets, shower-heads, and appliances. How much experience does The Plumbing Doc have? The Plumbing Doc team has been working together since 2004. We have over thirty years of combined experience dealing with concrete, drywall, plumbing, sewer lines, water heaters, and other installation, replacement, repair, and inspection services under our belt. We have a specially curated, highly trained team of plumbing technicians meant to give our customers one hundred percent satisfaction, no matter the job. When are The Plumbing Doc’s services available? Luckily, The Plumbing Doc is well-equipped to be open and functional three hundred and sixty five days a year. We are open throughout the week, weekend, and on holidays. We offer 24⁄7 emergency service with our fleet of fully-equipped and readily available trucks and vans, which are prepared to handle anything your pipes throw at us. Always know that the Plumbing Doc is here for any plumbing emergencies regardless of the time of day. What are The Plumbing Doc’s locations? We offer a variety of service locations in order to best suit and serve our customers. We service Bakersfield, Shafter, Delano, Lamont, as well as other surrounding neighborhoods. We’re available with a full fleet of trucks ready to make a call to wherever you’re located, regardless of whether your property is residential, commercial, or industrial. Even if your location is not on our website, make sure to give us a call to see how we can help. What sewer and drain cleaning services does The Plumbing Doc offer? The Plumbing Doc wants to help ease problems like clogging, buildup, scum, and other complications within your plumbing. That’s why we offer a variety of sewer and drain cleaning services. For some pipelines, we use a small machine named the Niard. We can use it for small pipes, pipes with tight turns, or small but stubborn clogs. For slightly larger pipes, slightly looser clogs, or pipes without harsh turns, we use a machine slightly larger than the Niard but just as powerful. We offer the same basic functions, just with a ⅜” cable. For clogs in mainlines 4” or up, we use mainline machines. We use our various resources including blades, rotors, and other tools to completely eliminate any buildup or sediment and scum. For larger-scale clogs including sludge, slime, waste clogs, or massive tree root invasions, we use hydro jetting services. No matter the situation, we have the right equipment to get the job done. Hydro jetting is a unique type of sewer and drain cleaning service. Hydro jetting, in essence, is just using water to clean your pipes. Water is obviously an eco-friendly material and doesn’t require harsh chemicals or cleaners to eliminate problems within your pipes. Hydro jetting is effective for mildly severe to highly severe clogs and blockages, including buildup and tree root invasions. It’s made highly pressurized by a machine head, which is then inserted into your pipe via a pre-existent access point. We then allow the hydro jetting machine to clear your pipes, inspecting your cleanout for residual buildup or scum to ensure all is well. Hydro jetting is beneficial for a variety of reasons. Most notably, however, is that hydro jetting can be used for a variety of pipe sizes and diameters. We come equipped with an assortment of tips and heads for the jetting equipment, ensuring we can remove whatever is going on inside your pipes. How does The Plumbing Doc help restore old pipes? Restoring old pipes, especially cast iron pipes, can be extremely challenging. Hydro jetting, consistent inspections, and other maintenance is a key part of keeping cast iron pipes in good shape. Additionally, if your pipes are older than forty years, you should get them inspected for repairs or replacements. However, if your cast iron pipes are in need of restoration, feel free to contact us for our trenchless pipe bursting services. We utilize a hydraulic system to take out an old section of pipe that’s broken, cracked, fractured, or in bad shape, and seamlessly replace it with a new piece of pipe- reinforced with epoxy made to last fifty years or more, and made to stand the test of time, these pipes will not disappoint you. What kinds of inspections does The Plumbing Doc offer? All underground inspections are done via an HD waterproof camera. This ensures we have a crisp, clear visual of what’s going on inside your pipes- there’s nothing misleading us in diagnosis or problem-solving, nor is there anything confusing you when we come to you with a potential invoice, diagnosis paper, etc. The Plumbing Doc offers leak inspections, maintenance inspections, emergency inspections, water heater inspections, and appliance inspections. Additionally, we will assist installations and replacements with our plumbing technicians on-hand 24⁄7. What are some benefits of video inspections? Video inspections are much more reliable than the older method of inspection, which was simply digging up your pipe and inspecting it by eyesight and eyesight alone. Eyesight inspections are, admittedly, trustworthy- however, digging up your pipe is expensive and worthless if there’s nothing actually wrong, or the issue is minimal and non-invasive to fix. With The Plumbing Doc, we don’t have to worry about those things because we offer video inspections. Our video inspections are live-feed and copied onto a hard-drive for you to keep. It can be viewed on any mobile device- phone, laptop, tablet, etc. It doesn’t matter where we are or what we’re doing; if we need to inspect your pipes, a video inspection will get it done. What are The Plumbing Doc’s water heater repair services? Here at The Plumbing Doc, we understand that your water heater is one of the most major appliances in your home. Whether your system is tankless or not, home and business owners alike count on their water heater every day. Luckily, we have the experience, tools, and knowledge necessary to provide you with any repairs you need, including replacements. We’re happy to sit down and discuss replacement recommendations as well in case your unit is unable to be repaired. However, The Plumbing Doc will also address current issues and resolve them to the best of our ability. What services are relevant to sewer lines? Services offered by The Plumbing Doc fully compromise any trenchless sewer solution. If your sewer line is in danger, feel free to ask us for an inspection, hydro jet service, or trenchless pipe bursting. Additionally, we offer installations, replacements, and repairs for septic tank systems, and also include maintenance in that list. Maintenance can include cleaning and inspections once to twice yearly in order to keep the system running smoothly and in perfect order. Our trenchless techniques help us save you money, time, and energy since they also don’t require any digging in order to access your pipelines. How will a sump pump installation, or lift station installation, help me? A sump pump is a simple piece of equipment that will help manage and restrict the flow of water in a home or business basement. This is often installed as a result of water problems including flooding and issues with drainage. Sump pumps won’t cure every issue, but they are affordable, easy to install, and will help reduce the issue. However, an isolated sump pit might work for your basement better if your basement is the only area of your home or property that floods. Lift stations move wastewater from low elevations up to higher elevations in order to remove it quickly and easily. They oftentimes work off a mechanical pump. These are usually needed as an alternative to other pumping solutions. Lift stations are cheaper than dry well stations, and most steel lift stations can last upwards of 20 years. If my appliances are leaking or need to be replaced, will The Plumbing Doc help me? The Plumbing Doc is happy to help with any or all appliances and fixtures such as sinks, bathtubs, shower heads and showers, washers, dryers, water heaters, and more. We’re equipped to handle repairs, replacements, and installations. We’ll oversee an installation of a new piece, or repair an older piece that isn’t functioning properly. No matter what’s going on, you’re home’s fixtures and appliances are safe with us. Overall, The Plumbing Doc is an extremely reliable, customer-supported plumbing company that has been in business for 15 years as a unit, with over 25 years of experience altogether. We’re happy to service our community and donate funds and time to our community yearly. 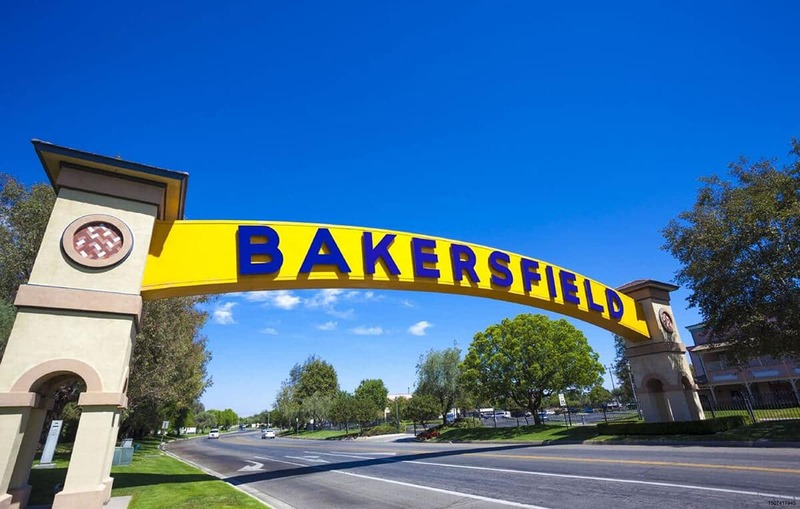 We are a major contributor to numerous local groups from the Kern County Fair, to the Bakersfield Rescue Mission. We hold a policy of giving back- not just to our customers, but to our community and to the people who care for us. We believe in this policy and uphold it both through direct contributions and discounts. We offer a 10% discount for military veterans and senior citizens as well. Whenever you have a plumbing emergency, or require maintenance or repair services, look no further than the Plumbing Doc in Bakersfield. We have the equipment, experience, and knowledge to take care of any plumbing issues or concerns. Contact us today to see how we can help.